BBQ lovers will be in hog-heaven over this! Here’s how to produce your own classic ‘BBQ Pulled Pork’; all you need is a stove-top smoker such as the one made by Camerons – one of the best kitchen investments you can make as it doubles as a deep roasting pan with rack. They’re also available in the UK from Amazon at a slightly higher price point by US standards. They come with full instructions (easy), a recipe book and an impressive choice of wood chips, shaved from just about every non-endangered deciduous tree known to man, fruit trees included. I’ve smoked salmon, trout, tofu, cheese, chicken, duck and turkey, all with excellent results and the whole procedure is a piece of cake (so to speak). Costco sells wonderful pork butts and shoulders; usually two packaged together weighing about 7lbs (3+kilos) each. Smoking pork this way is really easy and shredding it with two forks once it’s fully cooked is about all the work you’ll have to put in. Serve the pulled pork warm in burger buns with some tangy coleslaw and extra BBQ sauce on the side. Rub sea salt and black pepper all over the pork. There’s just enough room for two 6-7lb (3+kilo) pork shoulders to fit side by side in the smoker. Spread the woodchips evenly in the center of the base of the pan, then put the drip tray on top, with the rack on top of that. Put the pork on the rack and tent the whole thing with a double layer of heavy duty foil, crimping around the edges of the pan as tightly as possible, allowing some space above the meat for the smoke to circulate. Cook on the stove-top over a medium heat for one hour, then without disturbing the foil, transfer to a 275F (135C) preheated oven for another 4-5 hours. Your kitchen will smell divine. Remove the pork from the oven, discard the foil and once it’s cool enough to handle, shred the meat with two forks; it will fall apart easily. 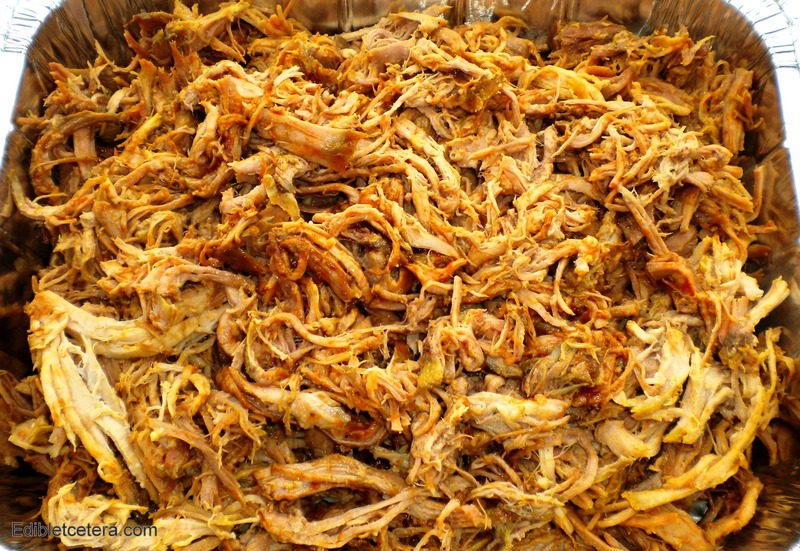 Stir some of your favorite BBQ sauce into the shredded meat, adjusting the amount to taste. Any leftovers will freeze or keep covered in the fridge for a few days. Hi from cambodia! I love pulled pork and now I want to buy a smoker. I had no idea it was so doable. Really not eating meat here, just eggs and some nuts for protein. Tends to keep me healthy, so this pulled pork is looking especially tasty. That looks so delicious, thanks for sharing this recipe..